Tourists on the streets of New York City are not talking as much about the Statue of Liberty, or the dancing Rockettes. Instead, they are obsessed with the Broadway production of the play "Hamilton." That historical, almost forgotten Secretary of The US Department of Treasury, who died in a duel at the hands of his political adversary, Aaron Burr...is having a revival (thanks to the play's creator, Lin Manuel Miranda). Alexander Hamilton is the main character of Miranda's hip hop musical on Broadway that retells the drama of the American Revolution. The nation's founding fathers are certainly in vogue and, the most popular is Hamilton. No government official in his right mind would now dare suggest the retirement of Alexander Hamilton's face from the $10 bill. One may well wonder if this sort of enthusiasm can be seen in the financial industry that could similarly become mainstream. What about the invention of the cryptocurrency Bitcoin, for instance? Could it become the new normal digital medium of exchange? This remains to be seen and governments worldwide are monitoring things closely to be sure, lest anyone mess with the currency markets. 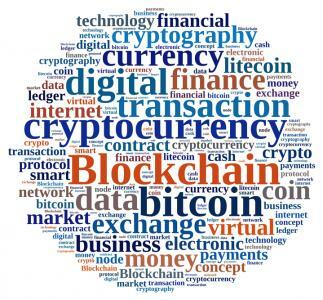 While the currency side of blockchain may not catch on, the ledger capability of it is interesting bankers worldwide. Innovative bank USAA relies on mobile technology and the Internet to stay in touch with its remote customers (military), so it makes sense USAA was early to get involved with Bitcoin and blockchain. USAA invested in Bitcoin exchange company Coinbase and already has launched a pilot program to let some customers monitor their Bitcoin wallet balances when they sign into their USAA account. The bank remains on the cautious side for now and is still not offering exchange or transaction services in Bitcoin. Despite that, customers appreciated the move and many told their friends. In fact, the trial was deemed successful and in May, USAA decided to make the service available to a wider audience. About 50% of those who signed up said they knew about it through emails, tweets, social media and other digital word of mouth. So far, customers of the bank seem to be Bitcoin enthusiasts and USAA is positioning itself in the alternative digital currency and ledger space. USAA is also at the forefront of digital disruption inasmuch as its leaders want to explore the technology and see how it could be integrated with their systems. Their purpose is to exploit the advantages of the blockchain and even to decentralize some of USAA's operations. While exploration here is just beginning, it is hoped that operations could be quicker and more efficient. USAA is not the only financial institution interested in the cryptocurrency alternative. In June 2016, Fed Chair Yellen even jumped into the fray. She invited the founder of the Chamber of Digital Commerce to Fed headquarters in DC, for a discussion on the potentialities of blockchain. There, representatives from Goldman Sachs, NASDAQ, the IMF and central bankers from 90 countries were in attendance. All were eager to learn about how these new ledger technologies could enhance security, reduce settlement times, reduce cost and facilitate open data sharing. We may have to wait a few years before the blockchain's first symposium becomes a hip hop phenomenon on Broadway, but until then community bankers will at least be doing research and monitoring things. We wonder what Treasury Secretary Hamilton would have thought of blockchain technology. Yields dropped 3bp as global investor concerns remained and oil softened. For community banks tracking the performance of the largest banks, we note their 2Q earnings reports indicate net incomes have declined YOY as follows: Bank of America (-19%), Citigroup (-18%), Wells Fargo (-3%) and JPMorgan (-1%). As such, analysts expect these largest banks to move more aggressively to cut costs, including more layoffs and ramped up branch closures. A study of embezzlement by US employees by Hiscox finds more than 40% of thefts are committed by an employee in the finance or accounting function, the median age of the perpetrator is 49 and women commit more embezzlements than men Payday Crackdown: The CFPB has filed a lawsuit against payment processer Intercept Corp (ND) for allegedly knowing about and allowing its clients to withdraw millions of dollars of illegal charges from consumer bank accounts. The CFPB said the actions violated the Dodd-Frank Act's prohibition against unfair acts and practices. At the end of this month the CFPB is expected to release a proposal to regulate debt collection practices. The proposal is expected to expand the definition of debt collector and tighten up activities. Spanish bank Santander has been fined $10mm by the CFPB over allegations of deceptive overdraft practices. The bank used a telemarketing vendor to enroll customers in its overdraft service, but the vendor reportedly did so without customer consent. A Morgan Stanley economist projects the 10Y Treasury yield will dip to 1.0% in Q1 2017, as overseas investors continue to purchase US assets amid turmoil in their own countries economies. The IMF has reduced its world growth forecast to 3.1% this year and 3.4% for 2017, following additional uncertainty around the Brexit issue. Meanwhile, closer to home, the IMF forecasts US growth will be 2.2% this year and 2.5% in 2017.